A leading Midlands law firm is supporting an ambitious campaign to raise £1million to help preserve the home of the Industrial Revolution. FBC Manby Bowdler – one of the country’s 170 biggest law firms – says it wants 1,000 manufacturers to each pledge £1,000 over the next three years to the Ironbridge Gorge Museum Trust’s Fund for the Future. 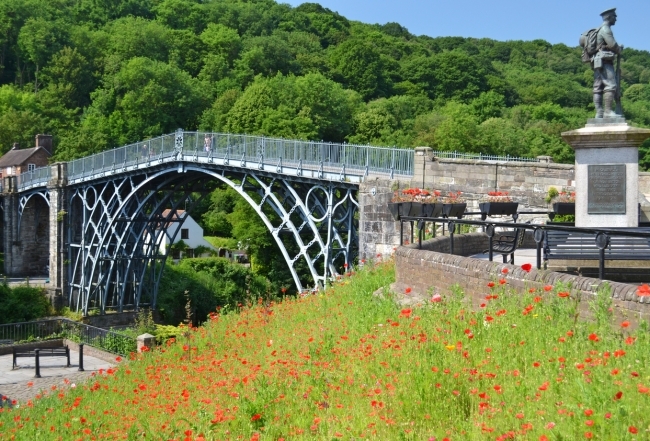 The firm, the Trust’s first gold patron, is a partner in the campaign to help conserve and protect some of the key industrial sites across the Ironbridge Gorge – designated a World Heritage Site for its role as the birthplace of the Industrial Revolution. Neil Lloyd, of FBC Manby Bowdler, said the firm was delighted to be working with the Trust to help it preserve the area for generations to come. “It is impossible to underestimate the importance of the Ironbridge Gorge in creating our modern, industrial world, and it is vital we preserve its rich heritage for generations to come. “That is why we are supporting the 1,000 Builders fundraising appeal to get manufacturers to show their support by donating £1,000 over three years to the Trust’s Fund for the Future. FBC Manby Bowdler – which has offices across the West Midlands and Shropshire – is also supporting the Trust through a series of seminars and using its contacts to raise awareness of the Trust’s work. The Fund for the Future aims to provide £15 million for the long term conservation of precious heritage assets in the Coalbrookdale area which include the Old Furnace, Dam Wall, Quaker Burial Ground, Arboretum, Darby Houses and the Coalbrookdale Company’s Warehouse. The fund has already been awarded a Heritage Lottery Fund (HLF) £1million match funded endowment grant – meaning it needs to raise another £1million to match the HLF award by March 2021. Karen Davies, from The Ironbridge Gorge Museum Trust, added: “We are delighted to be launching the 1,000 Builders fundraising appeal with the support of FBC Manby Bowdler. Abraham Darby I laid the foundations for the first Industrial Revolution at Coalbrookdale and almost every company in the world can trace its roots back to the innovation that took place here in 1709. The Ironbridge Gorge Museum Trust welcomes over half a million visitors each year to its award winning sites, for fun and educational days out. The Trust is a wholly independent charity and all income is reinvested back into its charitable work of education and heritage conservation. To support the 1,000 Builders fundraising appeal please email fundraising.manager@ironbridge.org.uk or call a member of the fundraising team on 01952 435900.